However, the show's producers are gearing up for the back half of The Flash season 2, with Marco Grazzini already cast as the DC Comics villain Tar Pit. Now, another actor has joined The CW's superhero action drama as a villain expected to appear in a two-episode arc that has been teased as "crazy." Much of the first run of season 2 episodes of The Flash, as well as fellow CW superhero show Arrow's fourth season, were dedicated to setting up the spinoff, Legends of Tomorrow. 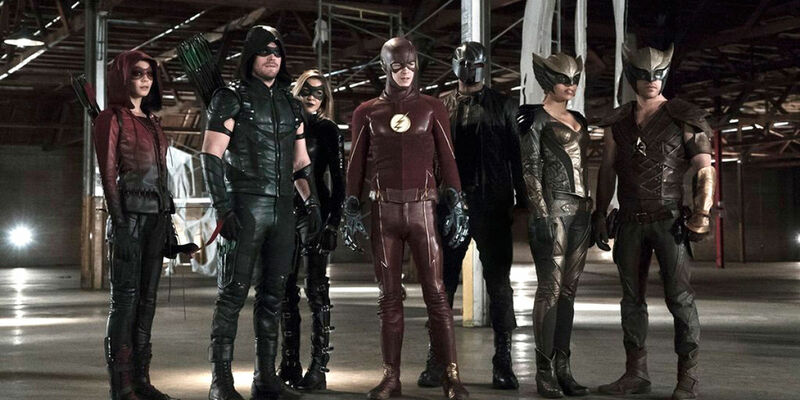 The Flash introduced a new character to the partnership of Firestorm, broke Captain Cold out of Iron Heights prison, and introduced Hawkgirl to the CW shared universe - not to mention the Arrow/Flash crossover focused on the centuries-old fight between Hawkgirl, Hawkman, and Legends of Tomorrow villain Vandal Savage. All of this is to say that it seems the back half of The Flash season 2 will focus entirely on Central City's speedster as he goes up against his own villains. Of course, fans who disliked The Flash's tendency to feature one-and-done villains in its first season may not be excited for this return to form, but it seems Geomancer, at least, will play a larger role in his two-episode arc. Although, given Berlanti's comments, the character's development will likely still defer to that of the main cast, including Iris. While The Flash's strength has always been in the relationships between its main cast, rather than its short-lived villains, it would be compelling to see the show strike a balance between the two when Geomancer arrives.